SKYDANCE TAKE NOTE: Two common misconceptions on how to improve a TERMINATOR Film. Among fans of the Terminator films, there has been an outspoken minority that have beaten the same drum for a dozen years now on how to restore the Terminator franchise back to its glory days (when the visionary James Cameron wrote and directed the films.) Their mantra is deliberate and consistent, focusing on two key points that (to them) are necessary to have a great Terminator film: It must have an adult “R” (UK-18) rating and it should have little-to-no comedy. That same drum is being beaten again as Skydance Productions informed the public that they are “readjusting” the way they approach the next Terminator film and deciding if (and how) they will proceed with the “Genisys” Trilogy. Now more than ever, it’s time to dispel these two age-old arguments. THE TRUTH : The rating of the film does not equate to quality. Writing, acting and direction does. Back in 2004, Aliens and Predator fans were very discouraged with the recent cross-over film release “AVP: Aliens vs Predator”. There was an up-swell of discourse, blaming the film’s poor quality directly at the studio’s decision to “water down” the violence to achieve a more accessible PG-13 rating. As a result, when sequel talks loomed near, there was a petition created by AvP fans demanding the sequel to be a mature “R” in rating. The petition didn’t demand better writing. The petition did not demand better direction. The petition demanded an “R” rating. And what we got in 2007 was the R Rated “Alien vs. 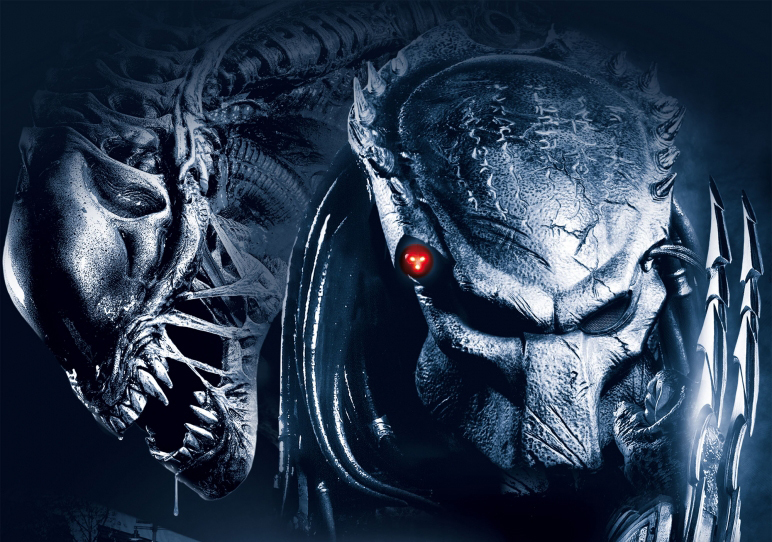 Predator: Requiem”, a film even more poorly received than its predecessor, a complete box-office failure and ultimately blamed for killing the AVP franchise. The lesson here is an adult rating… or extreme gore & violence for the sake of extreme gore & violence… does not equate to quality, nor does it draw more people to the theater, and should be the LEAST of a fan’s concern. If a mature rating was key to a great Terminator film, the R-Rated “Terminator 3: Rise of the Machines” wouldn’t be dismissed by fans (as it currently is). 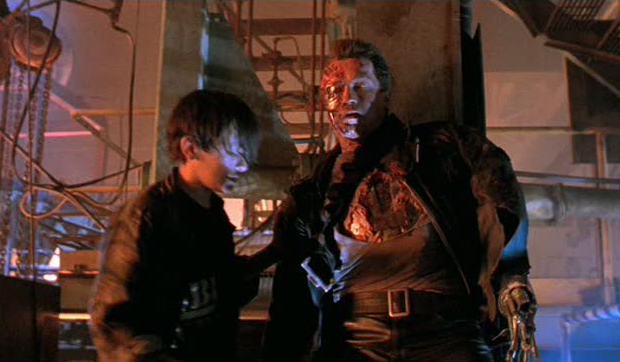 And it’s also important to note that plenty analysts from commonsensemedia.org have gauged the violence of the classic “Terminator 2: Judgment Day” to be equivalent to a PG-13 rating today, and only the crude language (used mostly by John Connor) would actually push the rating to an “R”. (For example: the use of the word “f*ck” can only be said once in a PG-13 film, versus unlimited usage in “R”). And does anyone really equate the course language in T2 to the fantastic experience the film still is today? No. Ultimately, watching the multiple stabbings, killings and beheadings in the “Lord of the Rings” Trilogy shows us that a PG-13 rating is sufficient enough for the framework of a really excellent Terminator film today. THE TRUTH : Creator James Cameron decided to infuse the Terminator Franchise with a comedic element and firmly believes to this day it enhances (not diminishes) the Terminator lore. James Cameron took the franchise in a new direction with 1991’s “Terminator 2: Judgment Day”, a change in tone much greater than any of the non Cameron sequels that were spawned years later. 1984’s “The Terminator” was the equivalent to a “slasher” / horror science-fiction film, and Cameron did not want to fall in the same sequel trappings those genres was famous for. There is only so far you can go with those genres without repeating the same old stale beats again and again ultimately reducing the entertainment found in your sequel (see the Predator or Halloween franchise). The infusion of other elements (like comedy) invigorated the franchise. Cameron recognized there is a great “fish out of water” element to the Terminator character when it tries to interact and blend in with human society.. and exploiting that element would have theaters filled with laughter and appreciation. And he was right. It was the right move, and audiences were charmed by this new Terminator dimension… the unintended comedy the Arnold Schwarzenegger’s T-800 would create. James further tapped that comedic element in his blockbuster 3-D ride experience “T2-3D: The Battle Across Time” and audiences were thrilled. All great directors understand however that comedy timing and its presentation is one of the hardest aspects to get right in films. A good director can make or break a line like T2’s “I need a vacation” from falling with a thud like T3’s “Talk to the hand”. Both have the potential of tickling an audience’s funny-bone as much as producing moans and groans, so it all relies on execution of a director who must understand the craft. It ultimately all comes down to the writer and its director. So a lack of comedy does not equate to a good Terminator film… (the most poorly received film of the Terminator franchise, the humorless “Terminator Salvation”, is proof of that)… but a lack of quality direction does. So where do we go from here? In the United States of America, we often build things up just to tear them down.. and “Terminator Genisys” was this year’s target. The bad word of mouth began with the release of the film’s second trailer, when it was revealed to the world that John Connor was actually the villain. The film was lampooned in America for it’s spoiler reveal and from that point was fighting an uphill battle… a battle lost before it ever hit theaters. This was compounded with the critical reaction: Most critics praised the film for being better than “Terminator 3: Rise of the Machines” and “Terminator: Salvation”, but still not quite a good Terminator film. They were left confused by the complexity of the plot, and discouraged with the acting ability of the cast, only praising Arnold Schwarzenegger for returning to form in the role he was built to play. All this negativity swayed a great portion of potential American audiences to stay away from spending money on the new Terminator film, and illegally download it instead (making it the most pirated summer movie of 2015). If Skydance is truly looking for answers on how to proceed, then they have what they need in this article. The majority of critics and audiences found “Terminator Genisys” a better film than both “T3” and “Terminator Salvation”, and the creative story ideas were praised by its creator James Cameron (the man responsible for the current #1 and #2 highest grossing films of all time). All it needs is improvement, one more step in the right direction. 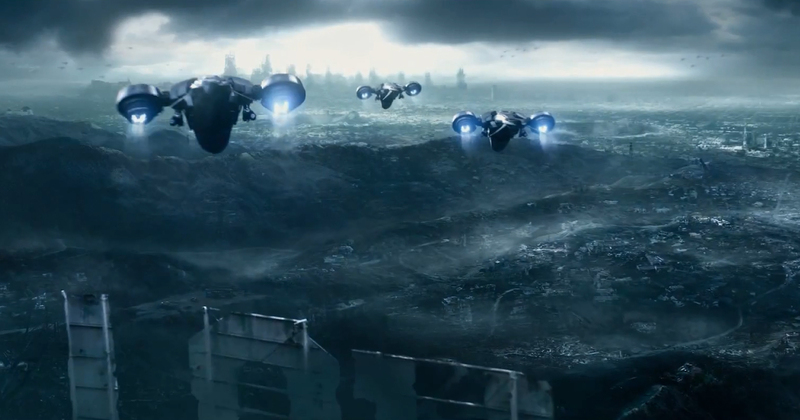 Continue the next Genisys Trilogy sequel, yet make sure to build in it’s own feeling of a stand-alone film. Write a tighter script, re-cast any actors (other than Arnold Schwarzenegger) that you consider as weak points, find a more acclaimed action director and improve your promotion tactics. The father of the Terminator franchise considers “Terminator: Genisys” the true T3… and the silent majority of Terminator fans wants to see this story’s next installment. Previous PostThe TERMINATOR Franchise is reportedly not on hold, but in a state of “readjustment”.Next PostTERMINATOR TRIVIA Volume 1: Cool facts you may not know about the Terminator Franchise!